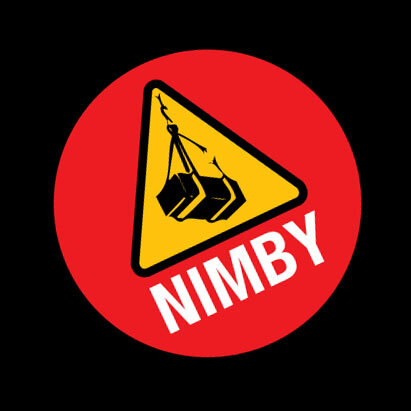 The Lower 48 Woodshop is in a 48’ shipping container at NIMBY makerspace in East Oakland, CA. 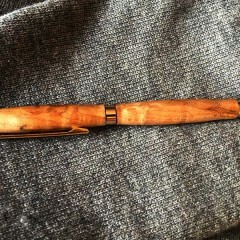 Turning a chunk of wood into something useful, beautiful, or new feels amazing (and powerful!). 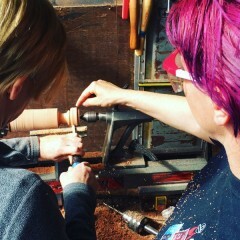 At the Lower 48 Woodshop, we think everyone should have a chance to feel that, but classes or equipment can be expensive. 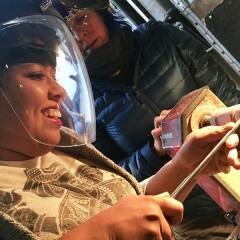 The Lower 48 was built to welcome more women and people of color who want to experience the joy of turning wood into beautiful objects. 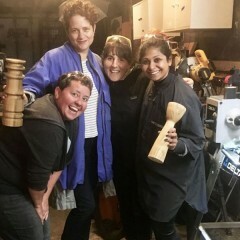 The Lower 48 is the brainchild of Jolie Karno, a skilled woodworker/woodturner and accomplished instructor at Techshop in San Francisco and The Crucible in Oakland. 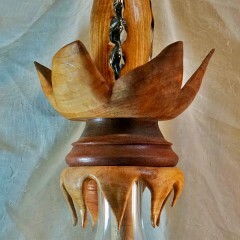 She loves teaching, and has introduced scores of people to fine woodworking and woodturning. 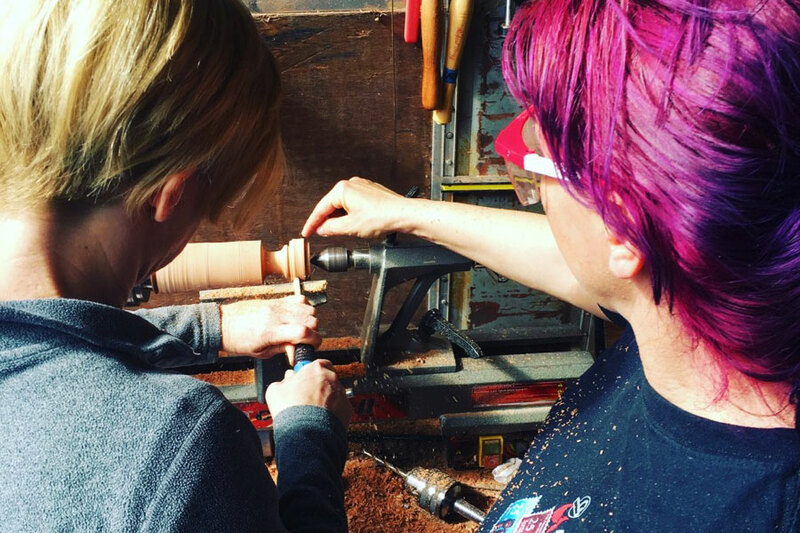 Andrea Wood met Jolie when she was a student in Jolie’s woodturning classes at The Crucible. 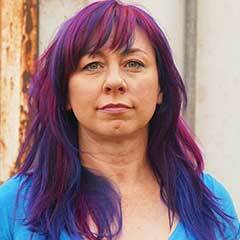 Andrea volunteers to help with digital marketing and ‘other duties as assigned’. We believe in working hard and having FUN! The Lower 48 is supported by volunteers, donations of cash or equipment, and sales from our Etsy store. 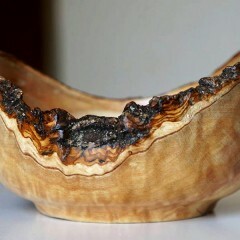 Every gift of time, talent, cash, or equipment helps us introduce more people to woodturning! Please connect with us if you would like to volunteer, share ideas, have an offer, or want to discuss classes or partnerships.